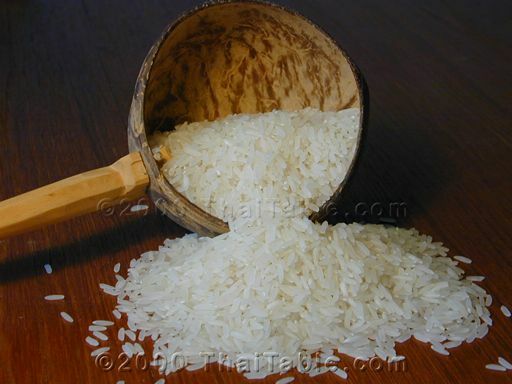 There are many varieties of rice that are available in Thailand. However, in the US, jasmine rice seems to be the only variety that is exported here. Fortunately, jasmine rice tastes great and is one of the most popular varieties. When cooked, jasmine rice gives out jasmine fragrance. Having a good rice to go along with your Thai dishes is so important. Good rice can help bring out the flavors of your dishes. I highly recommend jasmine rice for Thai food. Choose new crop of rice because it retains more of the jasmine fragrance than older crops.